This year here in Portugal the Easter long weekend is a little longer then usual due to the fact that the 25th of April holiday is right after Easter Sunday (the 24th). Of course in Canada a 4-day Easter break is an annual happening, as proceeding Easter Sunday is Easter Monday, which is a holiday as well. Although Easter Monday is common throughout much of the English Commonwealth, in the Canadian case, the tradition of having a holiday after Easter Sunday is, in fact, connected to immigrants from Eastern European countries, namely Poland, Hungary, the Czech Republic and the Ukraine, where traditions connected to Easter Monday are adundant. 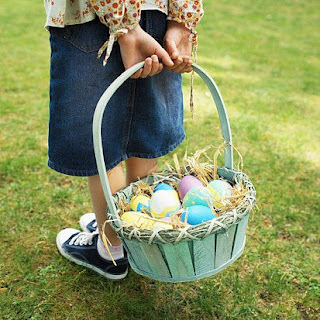 Now-a-days, however, Easter Monday serves newer traditions, ones that frequently includes sitting around eating chocolate Easter eggs and bunnies, this often after a bustling Easter egg hunt Sunday. Speaking of Easter eggs, nowhere on earth is this symbol of Easter more evident then in the town of Vegreville, Alberta, just east of Edmonton, as it's in this community where the worlds largest Easter egg sits. Constructed in 1975, the Ukrainian 'Pysanka' (Easter egg) was constructed to honour the early Ukrainian settlers in this part of Alberta. Today it sits as an all-year-round symbol of re-birth, the exact intent of what the Easter egg is suppose to represent - a symbol of resurrection, containing a 'new life' within its shell. The Pysanka of Vegreville, Alta. Now if within these shells is solid chocolate or some sort of creamy filling, this will definitely brings new life upon us, am I right? HAPPY EASTER TO EVERYONE! Have a chocolate or two on us. thing that is needed on the internet, someone with just a little originality.